Our guest readers for June 28 were Kyndal and Baylee Busteed. They read the book, She Persisted by Chelsea Clinton. It was about thirteen inspirational women who never took no for an answer and went on to achieve their dreams. Some of the children’s dreams were to be a farmer, inventor, fireman, and engineer. 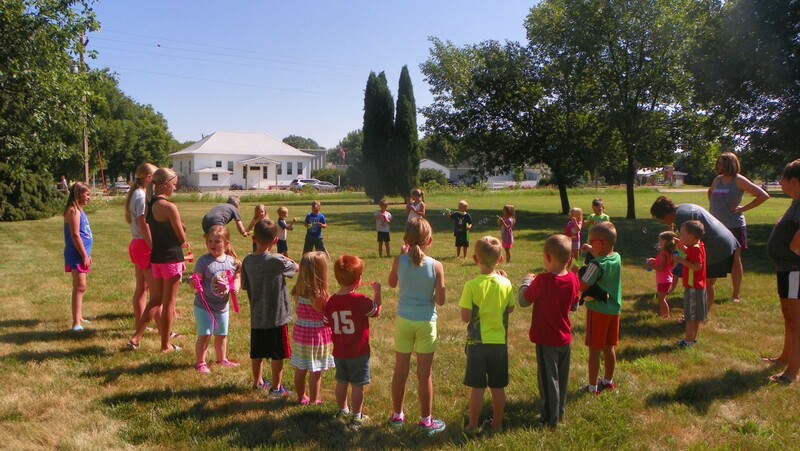 Following the story the children went outside and had a fun time blowing bubbles. On June 26, Lane and Sharon Bartak read The Mixed-Up Truck to 28 children. The book is about Cement Mixer’s first day on the job and he doesn’t want to make any mistakes. How can he help the other trucks on the construction site? By mixing some powdery white cement, of course! He mixes it up, adds a little water, and presto . . . a cake?! He’ll keep trying until he gets it right. In the process he learns that making mistakes is not always a bad thing. The children also enjoyed making Fourth of July cards and playing Firecracker, Firecracker, Boom aka Duck, Duck, Goose. The library will be closed July 3 and July 4. We will still have story time July 3 at 10:00. Have a great Fourth of July. Curtis Mork, also known as the Lego Guy, visited the Elgin Community Center on Friday, June 23 as part of the Elgin Public Library’s summer reading program. He spent time teaching and interacting with approximately 50 kids. He shared the history of Legos, from their beginnings in Denmark 60 years ago to the current and popular sets we have today. After a brief lesson on the background of Legos, Mork allowed the kids a chance to design and build their own Lego creations. They were also able to take time to browse the various sets Mork built himself, including various Lego City buildings and pieces of construction equipment. Mr. Mork has been a Lego fan since age 6 and has collected more than 500 sets of Legos, including Star Wars and Lego City. He spends much of the summer traveling the Midwest doing presentations and interactive workshops. The Lego Guy was sponsored by the Elgin Public Library which was one of many libraries in Northeast Nebraska that Mr. Mork has visited this summer. Congratulations to Braxtyn and Kierstyn Eisenhauer for being chosen as Superstar Readers for the week. They are the children of Randy and Krista Eisenhauer. Way to go! Keep up the good work! On June 21, 37 children listened to a story, Ten Rules of Being a Superhero, read by Kayton Zwingman and Grady Drueke. In order to be a real superhero, you have to follow some important rules: Rule #1: A superhero must ALWAYS respond to a call for help. Rule #2: Saving the day is messy. But everyone understands. In this handy guide, Captain Magma and his trusty sidekick, Lava Boy, take young readers on an adventure to learn all ten rules of being a good superhero. Following the story the children colored superheroes as well as made their own super hero describing their personal super power. Some of children’s super powers included “Super reader”, “Fast runner”‘ “Good helper” and “Strong power”. 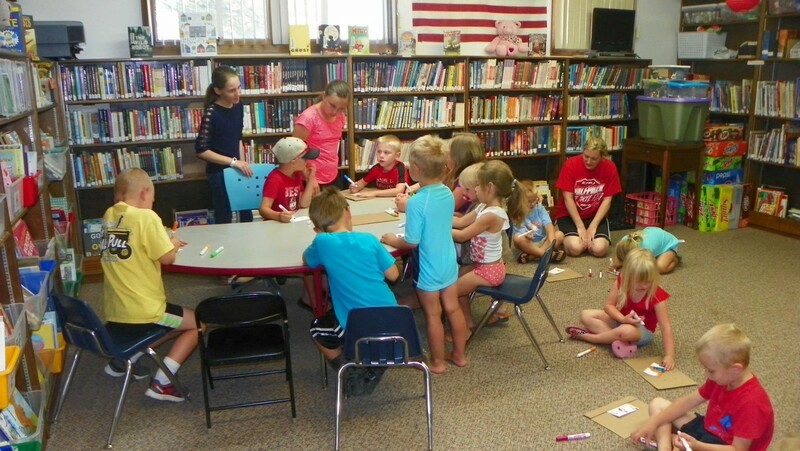 On Thursday June 15th Devon and Taralyn Baum visited the library to do an activity for children in grades one through five. Sixteen children were in attendance to enjoy their activities which focused on Agriculture and how it can help build a better world. The older kids worked with Devon who demonstrated how to shear sheep by using a balloon and shaving cream. She also played animal charades with them. Taralyn created a bowling game for the younger age group that helped them learn about different kinds of farm animals. 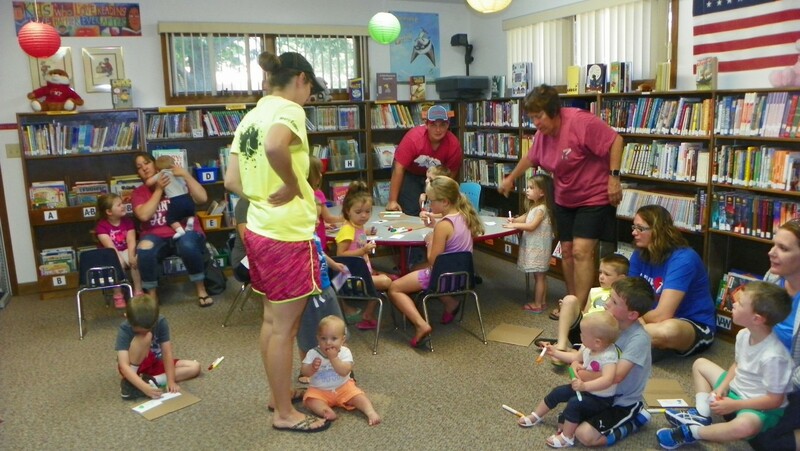 They were back on Monday June 19th to host story time for pre-school through first grade age children. 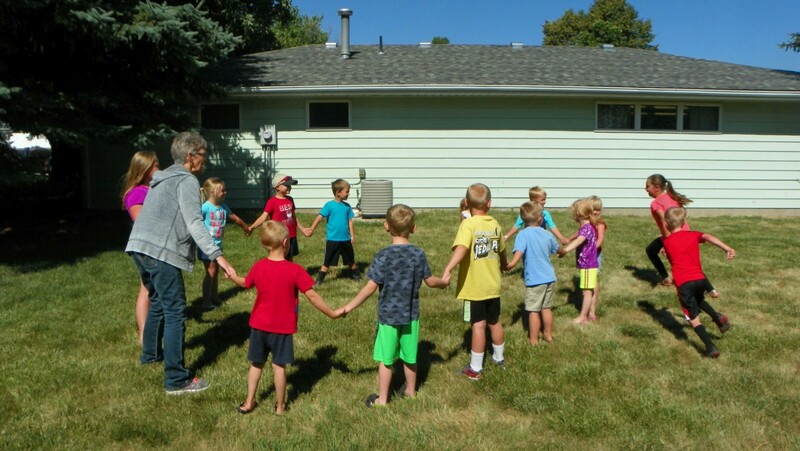 39 kids were in attendance for the stories and activities that Taralyn, Devon and Braelyn Bergman had organized. 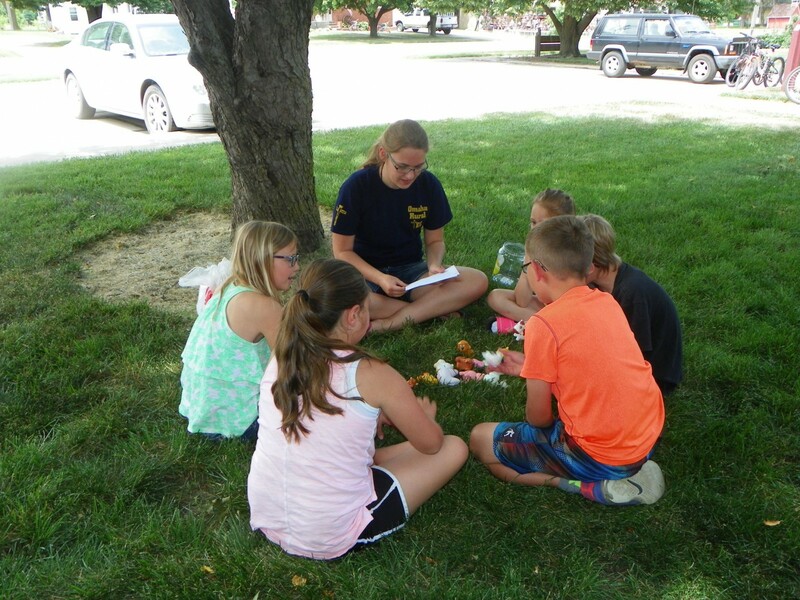 Taralyn read several books about the farm while Devon played several farm related games with the children. They had a great time! and Braedon Hinkle, son of Luke and Jessica Hinkle. Congratulations to our Superstar Readers! 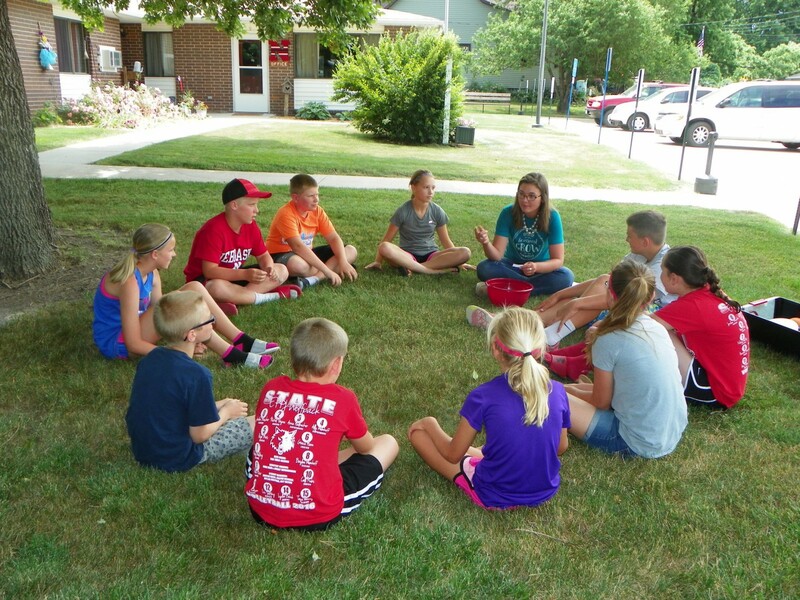 Lauren Seier was the guest reader for our third story time of the summer reading season. Lauren read, Ragweeds Farm Dog Handbook and surprised the children by bringing along her dog Buddy. Although Buddy has visited a nursing home, hospital and school, this was his first visit to the library. Following the story all 30 children had a chance to pet and play with Buddy. They also enjoyed coloring a farm picture with different characters from the book. Thank you Lauren for a fun story time!